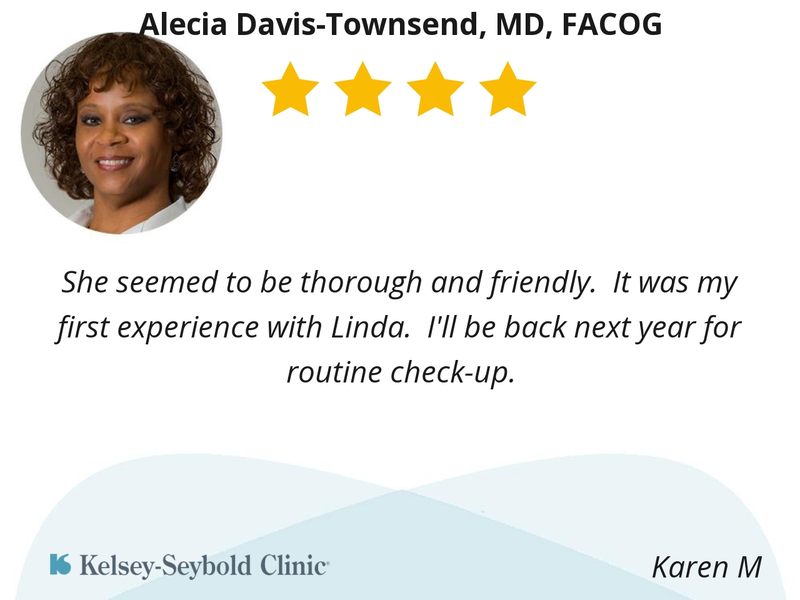 Dr. Davis is always professional, friendly and willing to answer questions. It was my first pelvic exam and PAP smear, so I was very nervous about the process. She made sure I understood everything that she was going to do and why she was doing it. Dr. Davis was very reassuring and answered all of my questions. She's awesome! She asked a lot of questions, to better understand my issues. Was not dismissive and answered my questions with great tips etc . She made me feel very comfortable! The doctor was professional but easy to talk to and she took time to listen and answer questions. I appreciated the use of regular gowns for exam as opposed to paper gowns! She took time, answered questions, explained things, reviewed my history, gave referrals, was easy to talk with. She is thorough, listens and address your concerns, she is fast when doing the pap smear, and answers questions. She is very informative and good at what she does, she really cares about her patients. Dr. Townsend has a lot of great experience and my first time meeting her I felt that I was in very great hands! She wanted to wean out all the possibilities of my symptoms first before making any decisions. I’m very pleased with my decision. Dr. Davis was really professional, respectful and friendly, we need more doctors like her, thank you Dr. Davis. 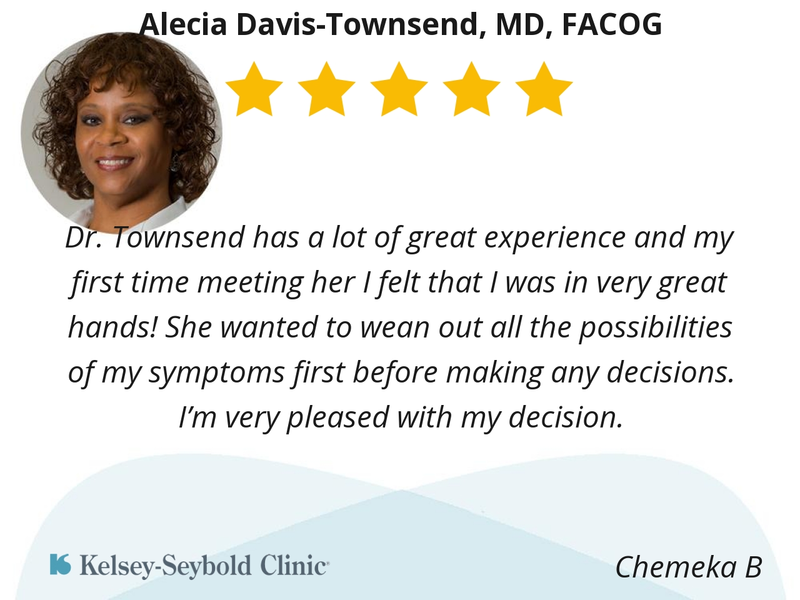 Dr. Davis-Townsend is very thorough and always listens to my concerns. By far my favorite OBGYN I’ve ever had! She has been my OB doctor for the past 20+ years and wouldn’t change her for anything. She pays truly attention of my health complaints and gives the necessary time to hear me out at every single visit. She was very knowledgeable in the information she relayed. She asked if I had any questions for her. Her mannets were proffessional. 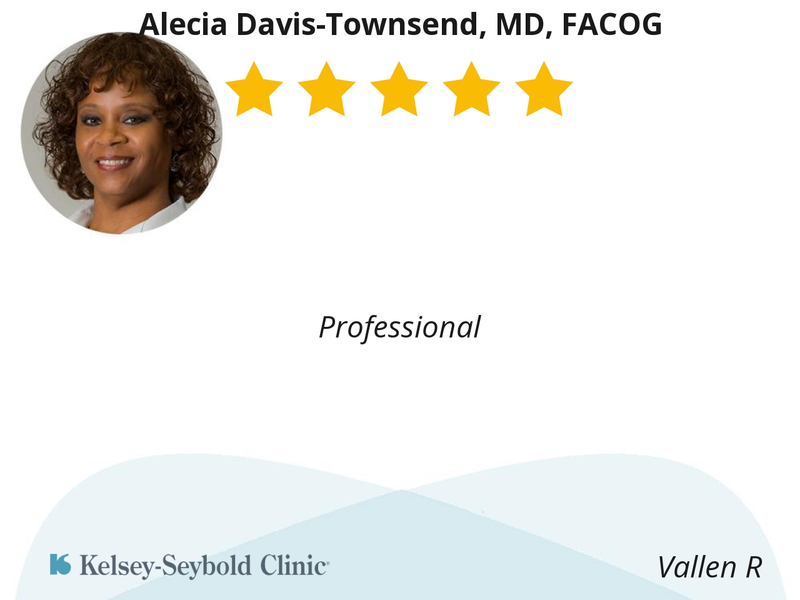 Dr. Alicia Davis-Townsend, was very caring, warm and very detailed when explaining my issues. I was so very proud to see a woman of color. It was also comforting. After having to adjust losing my OBGYN of more than 25 years, also a woman of color, I was very pleased. Dr. Davis-Townsend is a very great person. I liked her personality, charm and her way of explaining my issues to me. She’s very knowledgeable and caring. Knows how to calm your fears and anxiety. Most of all I was very comfortable and glad to see a woman of color. My OBGYN of 30 yrs. was of color and it devastated me, when she retired. She is the best doctor I have ever met. I am not exaggerating. I have never before met a doctor who is so committed to patient outcomes. She not only identifies and diagnoses problems, she fully commits to following through and faces issues head on. I move around a lot and will always come back to Dr.D-T, wherever she decides to practice you’ll know where to find me. Dr. Davis-Townsend has a warm and inviting (humorous) disposition that made me feel relaxed and eased the “new patient” anxiety. She was thorough and didn’t rush through the visit. She seemed to be thorough and friendly. It was my first experience with Linda. I'll be back next year for routine check-up.